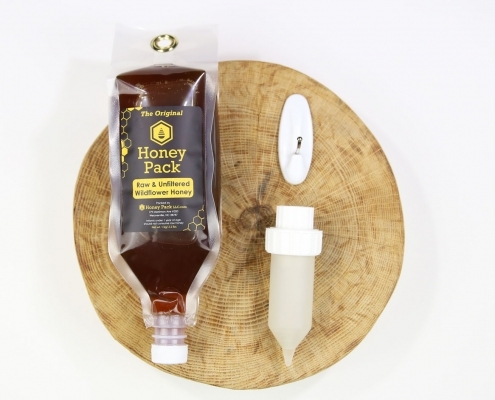 Honey Pack LLC is nestled in the beautiful Blue Ridge Mountains where our unique flora is considered to be the most diverse found in North America with over 1,500 flowering species of plants. 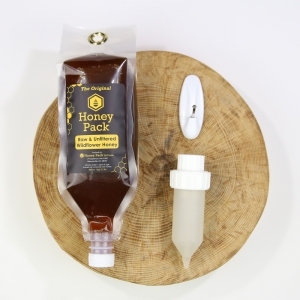 Our exclusive Honey Pack Dispensing system is one of a kind and provides users with contamination-free, no-drip, honey on demand in a metered dose. 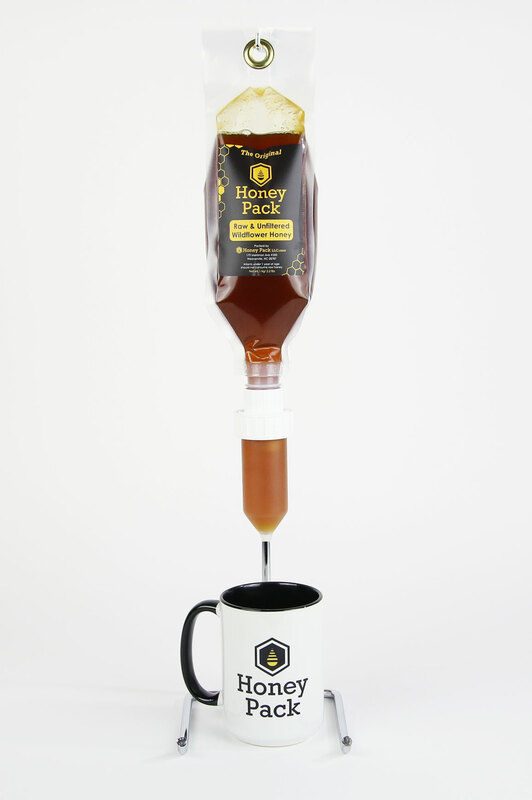 Once you try our Honey Pack, there’s no way you’ll ever go back! 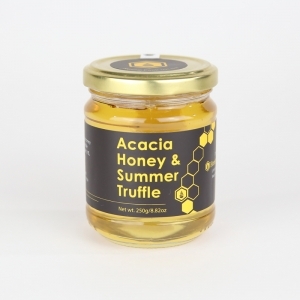 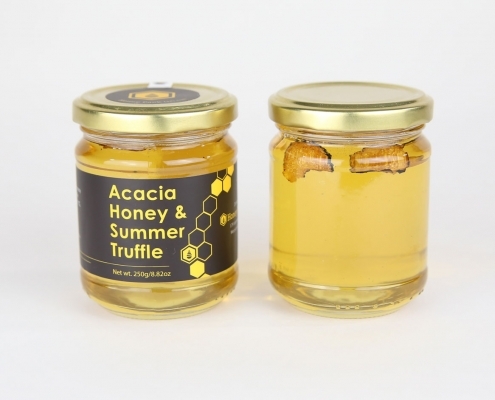 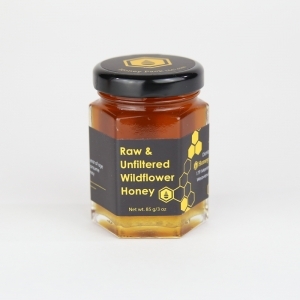 Whether you are buying honey for personal consumption, for a wedding or event, to feature in your restaurant, to sweeten your coffee/tea business, or even for private label resale, we have the products and service you won’t find anywhere else! 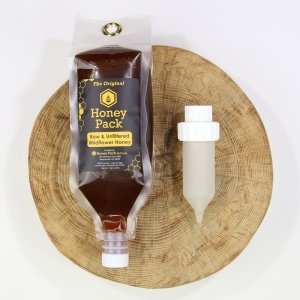 Raw and Unfiltered Wildflower Honey Pack with Dispenser and Stand is our own exclusive design for the ultimate in ease of use and adjustability. 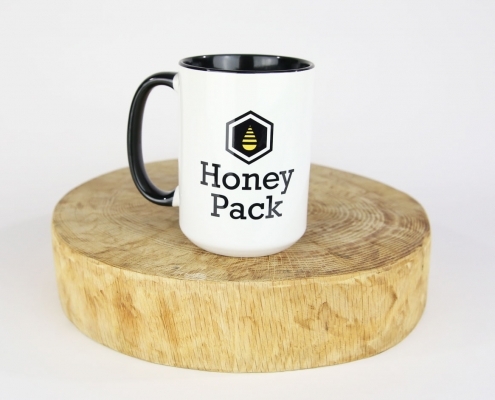 The stand will raise high enough to accommodate an insulated travel mug and adjust down for traditional mugs. 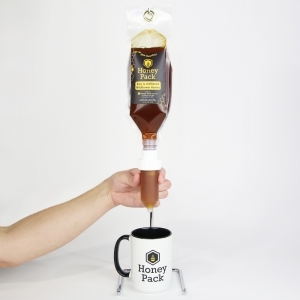 The dispenser keeps out contaminants, is drip-free and dispenses a metered amount of honey with a simple squeeze. 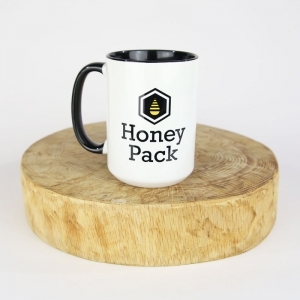 Log in or call for special wholesale pricing. 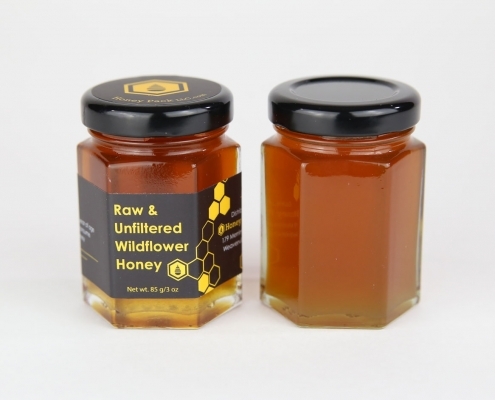 We offer options for USPS and UPS shipping. 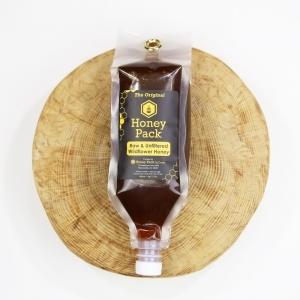 Shop Honey Pack products through our secure payment gateway. 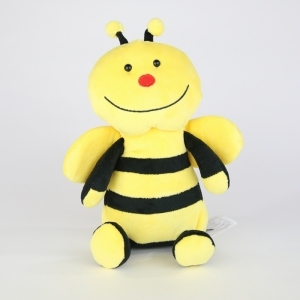 Call or fill out the form field below and someone will respond as quickly as possible.